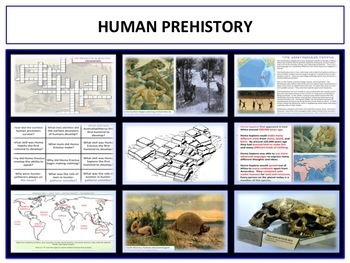 Prehistory - "I find this topic boring to teach and he pulled it all together and made it super easy to teach! I didn't have to create a unit test at the end, since it was provided." Mesopotamia - "I love the purchase. Each lesson is very thorough and detailed. I have a wide range of learning levels and it meets the needs of all of my students. Challenging, yet fun. Thank you for creating a wonderful unit." Egypt - "Best I have seen for Ancient Egypt study in all my career. I can't wait to start this tomorrow. Thanks so much!! Looking forward to buying more from you in the future." Greece - "Great unit on Greece! 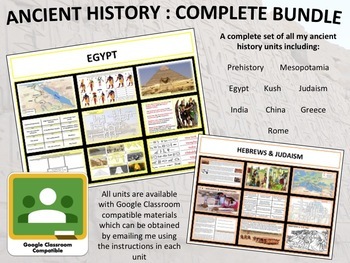 This was my first year teaching World History, so this gave me everything I needed for a complete and thorough unit." Hebrews & Judaism - "I really appreciate the breadth of options with this resource; there are very few resources on TPT that are this comprehensive and relevant to my 6th graders; thanks again!" India - "Two thumbs waaayyyy up for Mr. Gray's products! 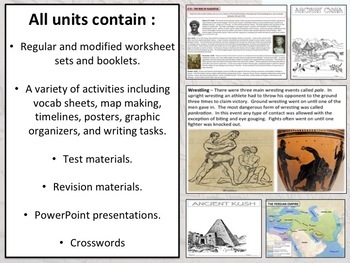 I purchased all of his Grade 6 Social Studies Materials and am EXTREMELY impressed. His content is vibrant and engaging, and will be a hit with my students this fall. I also want to pass along Kudos for his exemplary customer service. I followed his directions and emailed requesting additional links that were not up-loadable to TpT, and he emailed the information almost immediately. Superb products, superb customer service, and content rich materials!" China - "I have purchased several units and I am always satisfied. There is such a variety of activities for my students and so much information for me!! 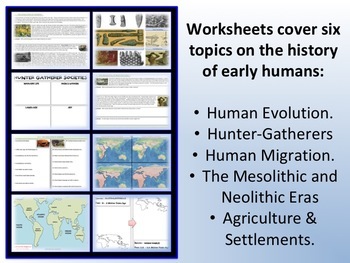 I also like that the lessons are differentiated for my students. Thanks for a great unit." Rome - "Very thorough and straightforward unit--saved me a ton of time! Thank you!"